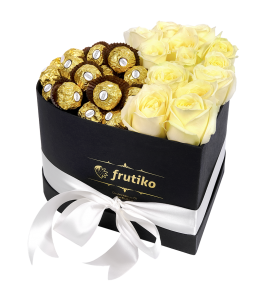 Wedding floral box with tender flowers We introduce you a complete novelty in the offer of fl.. 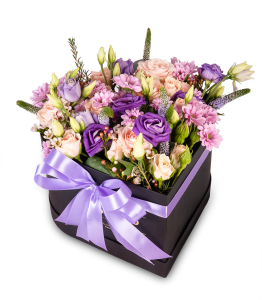 Romantic flower box Flower box with romantic flowers is a wonderful gift or surprise for your.. 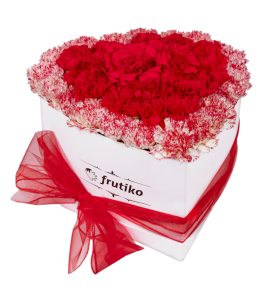 Luxury heart box of red and multicolor carnations - White Look at the carnations by fresh eye.. 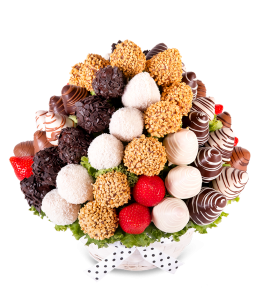 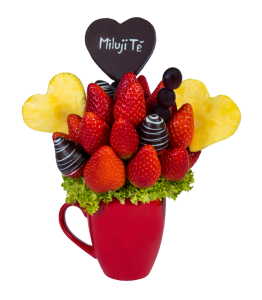 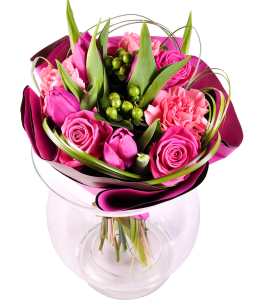 Strawberry Passion Bouquet Strawberry Passion Bouquet is perfect combination of fresh strawbe.. 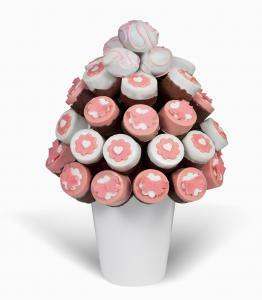 Wedding Bouquet Wedding Bouquet is made of delicious bananas dipped in sweet pink chocolate a.. 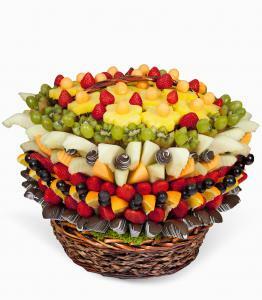 Wedding Package Wedding reception package is consisting of a large fruit bouquet and 50 piece.. 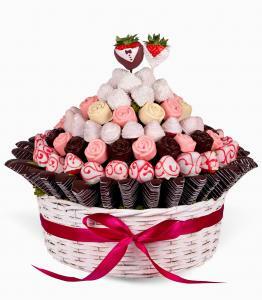 Wedding Cake Wedding cake made up with delicious roses, soft mufffins and ball cakes and arr..
Bride and Groom Original wedding gift from fresh strawberries in chocolate in the form of the..
Bouquets of white roses Bouquet of Roses in the number of their choice as a gift to please e..
Fruit Basket Online Large fruit flower Fruit basket which filled with fresh fruit and delicio.. 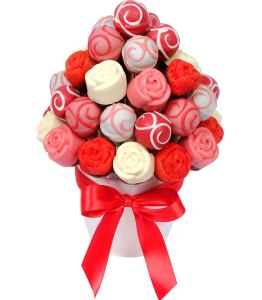 Pink Cake Pink Cake created from small cakes decorated with pink strawberry flovered chocola..
Black heart shaped box with white roses and Ferrero Rocher White roses symbolize humility and.. 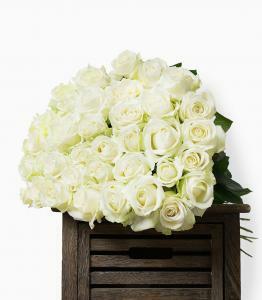 This unusual wedding gift will please newlyweds and all their wedding guests. 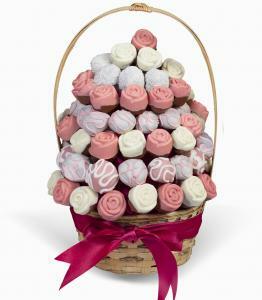 Order this unusual wedding gift that can also be used as an original wedding table decoration. 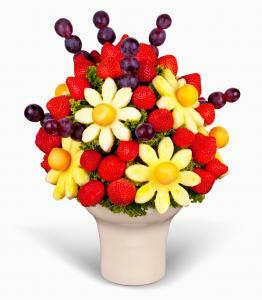 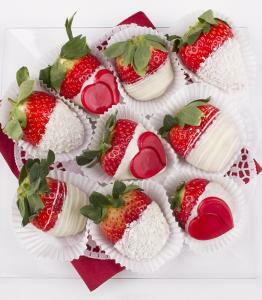 These beautiful fruit flowers can be served to your special guests at your wedding reception. 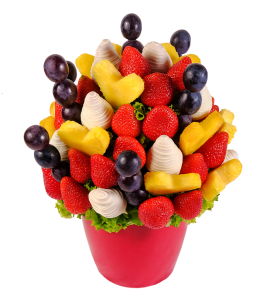 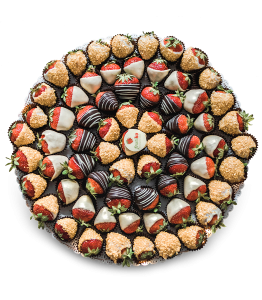 Fruit lovers will during their special day appreciate wedding bouquets made from fresh fruit dipped in delicious chocolate. 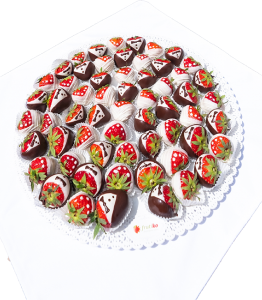 Order this edible flower as a wedding gift or as a wedding decoration and make your wedding party unforgettable. 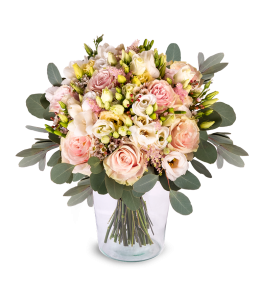 The original wedding decoration can brighten up any wedding and it will provide wedding guests with necessary vitamins and energy so they can properly celebrate this exceptional day. 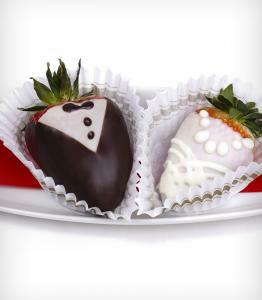 Wedding decoration from fruit has become a modern trend worldwide. 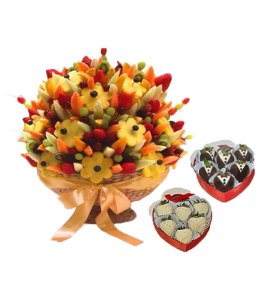 Order these beautiful fruit decorations also for your own wedding and offer your guests a rich wedding reception that will be unforgettable thanks to the Frutiko wedding decoration. 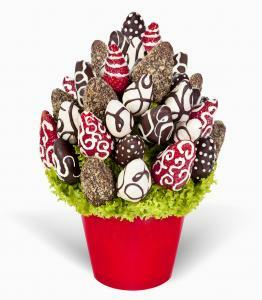 These edible flowers are more attractive than any classic cake. 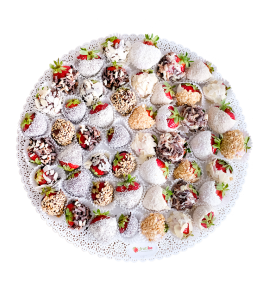 Choose from the selection above or your wedding planner can contact us anytime for a customized offer . 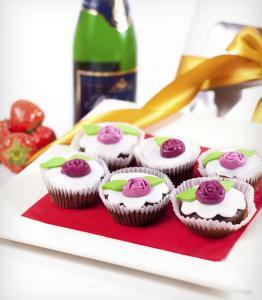 Choose our most popular wedding cake and amaze all guests.